Recognized Nationwide as a Leader in Law Brown, LLC (Formerly JTB Law Group, LLC) has established a solid reputation as one of the leading law firms in complex litigation such as mass torts and class actions. We are dedicated to provide the best possible representation for our clients. Besides our relentless pursuit of justice and non-stop work ethic, and emphasis on litigation strategy, our senior attorney Jason T. Brown has received very prestigious awards and accolades. Here is a partial list of some of the honors received and an explanation what these high distinctions mean. Martindale-Hubbell Peer Review Ratings : AV Preeminent 5.0 out of 5.0 Rating LexisNexis Martindale-Hubbell has long set the standard for lawyer ratings. The Martindale-Hubbell Peer Review Ratings are an objective indicator of a lawyer's high ethical standards and professional ability, generated from evaluations of lawyers by other members of the bar and the judiciary in the United States and Canada. Legal Ability ratings are based on performance in various key areas, rated on a scale of 1 to 5 (with 1 being the lowest and 5 being the highest). AV Preeminent (4.5-5.0) is a significant rating accomplishment - a testament to the fact that a lawyer's peers rank him or her at the highest level of professional excellence. No aspect of this advertisement has been approved by the Supreme Court of New Jersey Mr. Jason T. Brown has achieved of a 5.0 out of 5.0 rating, the highest possible rating on the scale. This is a testament to his legal abilities and dedication to clients. The National Trial Lawyers : Top 100 Trial Lawyers This is an invitation-only award that only recognizes the most instrumental trial attorneys throughout the United States. There is a rigorous selection process in order to be included in the list of "Top 100 Trial Lawyers" which includes peer nominations and third-party research. This distinction from The National Trial Lawyers is like a badge of approval for quality, professionalism and effectiveness. Additionally, if qualified, there is a fee of $300 that is paid to the National Trial Lawyers. The fees are considered administrative processing fees and charges for the title and included charges for frames and plaques. No aspect of this advertisement has been approved by the Supreme Court of New Jersey. Our firm protects whistle blowers nationwide by filing Qui Tam Lawsuits such as False Claims Act (FCA), SEC Whistleblower Actions, CFTC Whistleblower lawsuits, IRS Whistleblower lawsuits, Medicare Fraud, Medicaid Fraud and many other areas. Also, we handle catastrophic injury matters, such as truck accidents and wrongful deaths. We litigate wage and hour cases as well for overtime pay, minimum wage, ERISA and many other areas. Our firm is passionate and personable - call us today at (877) 561-0000 to see if we can assist with your legal matter. 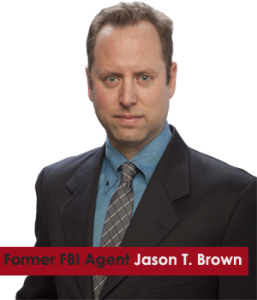 Our firm is a robust litigation firm led by Former FBI Special Agent Jason T. Brown. We litigate cases nationwide and have had settlements and judgments for maximum damages in areas such as wage and hour, qui tam, whistleblower. Our firm is a robust litigation firm led by Former FBI Special Agent Jason T. Brown. We litigate cases nationwide and have had settlements and judgments for maximum damages in areas such as wage and hour, qui tam, whistleblower and many other areas of law. 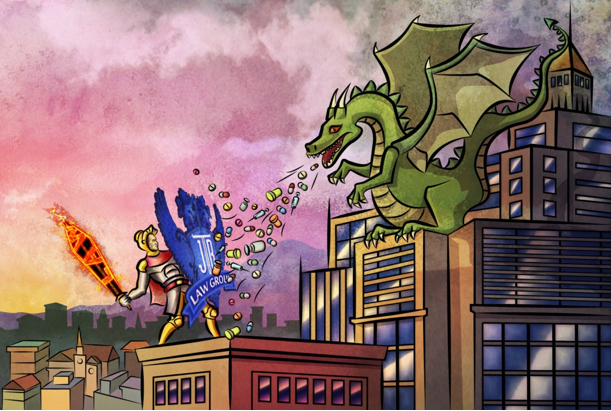 Generally, we take cases on contingency only, which means we're only paid if we win the case. Former FBI Fighting for Your Rights.